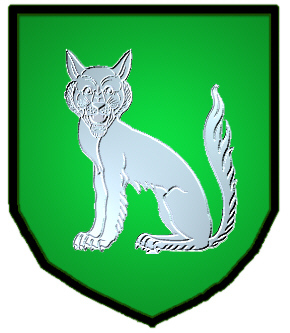 Coat of Arms: A green shield with a silver wolf seated. 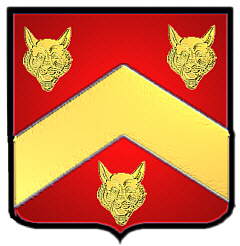 Coat of Arms: Red with a gold chevron between three gold wolves heads. 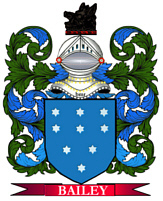 Spelling variations of this family name include: Wolfe, Wolf, Woolf, Woolfe, Wolff, de Wolfe and many more. First found in Cheshire where they were descended from Hugh Lupus (Wolf), the Earl of Chester, and chief subject of King William the Conqueror. Some of the first settlers of this family name or some of its variants were: John George Wolf settled in New England in 1709 with his wife, two sons, and two daughters; Thomas Wolf settled in Philadelphia Pa. in 1683; Paul Wolf settled in Philadelphia Pa. in 1805.